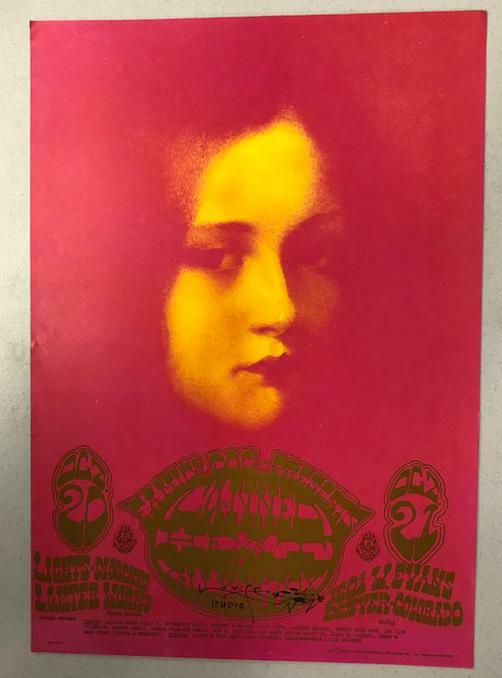 Original first printing concert poster for Canned Heat & Allmen Joy at the Family Dog in Denver. FDD7-1A. Art by Mouse & Kelley. 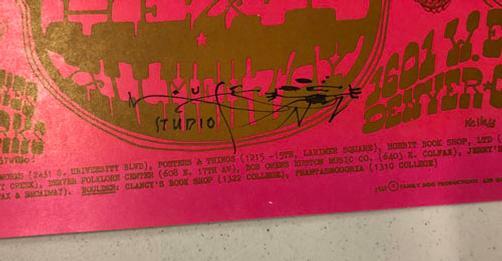 Hand-Signed by the artist Stanley Mouse.